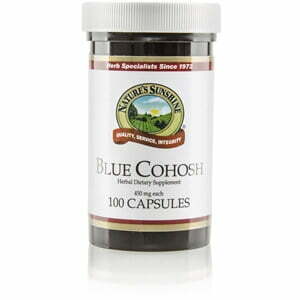 Nature’s Sunshine Blue Cohosh provides female glandular support. A mild alternative to black cohosh, this herb is also known as papoose root or squaw root. 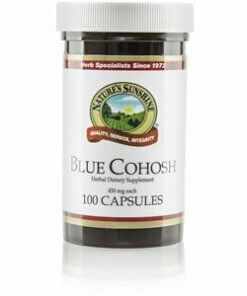 Blue cohosh, or Caulophyllum thalictroides, comes in capsules of 450 mg each. Instructions: Take one capsule with a meal twice daily.